WHEN LOUISA SEWELL pleaded guilty of stealing a 75p four pack of Mars bars from a shop in Kidderminster, she was fined £330 (€468). Having stolen the bar because she was unable to pay for it after her benefits were sanctioned, she wasn’t in a position to pay for it. She also claimed she stole the bar because she had not eaten in days. Her story made the local newspaper and was spread around the internet two weeks ago. There, it caught the attention of Stuart Campbell, who decided to do something to help, setting up an Indiegogo campaign to raise the money for the fine. While the initial goal was £500 (€709), donors have raised over £14,000 (nearly €20,000) to help. Campbell told The Independent that he set up the campaign on Friday because he felt the story highlighted a flaw in the UK’s benefits-sanctioning system. “While you read awful benefit-sanctions stories like this every day now, it seemed an especially dreadful example. The fundraising will also help plug a near £15,000 hole in the funds of a Scottish foodbank, which will receive the excess money, so everyone is a winner. 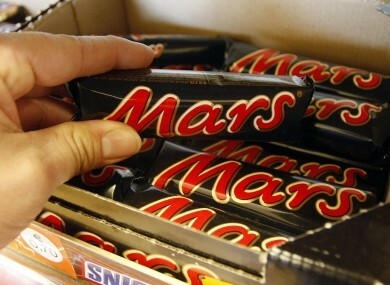 Email “A woman fined for stealing a Mars bar has been given nearly €20,000 to pay it”. Feedback on “A woman fined for stealing a Mars bar has been given nearly €20,000 to pay it”.